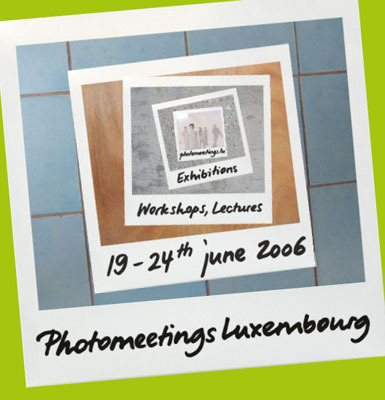 PHOTOMEETINGS LUXEMBOURG workshops lectures exhibitions June 19 - 24, 2006 information: +352 472324 subscribe to newsletter: info@photomeetings.lu Mass Media Manipulation Due to the role of technology in the contemporary world, the function of the image in our society has changed. Millions of images are published and diffused, and remain instantly accessible. Selectively presented and manipulated, they lose what Walter Benjamin called their "aura". They are, however, as used by the mass media, more influential than ever. The possibilities of image manipulation are constantly developing and this entails dangers. 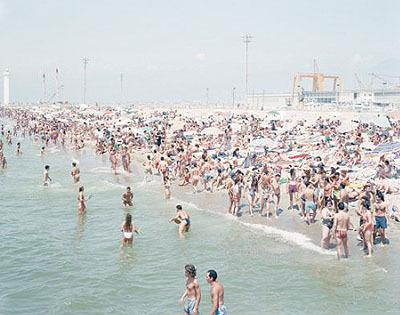 A combination of workshops by renowned photographers, lectures by theorists and specialists in this field, and exhibitions of well-known artists will be on offer to all those with an interest in photography. 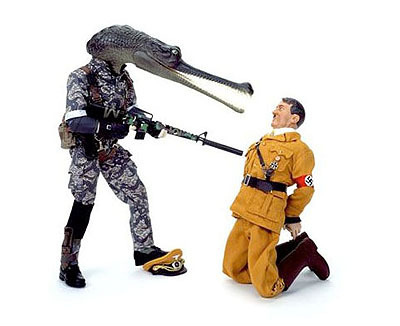 The theme of "mass media manipulation" is illustrated, for example, in the works of Massimo Vitali and Dionisos González, in the lectures by Klaus Honnef, Hubertus von Amelunxen, Hans-Michael Koetzle, Paul Rauchs and Michel Guerrin, as well as by Giacomo Costa, Peter Bialobrzeski, Yvon Lambert, Daniele Buetti, Antoine Agoudjian in the workshops on the manipulation of images, and by Daniel & Geo Fuchs about the possibilities of spreading them through the media, as well as in the films by Dieter Appelt, Michael Najjar, Roland Wirtz, Stanley Greene and William Klein.